Parigne, France (Weltexpress). The 8th World Conference of the Strasser Hoofcare Organization (WIHH) took place from 25. to 28. October 2018 in Brittany at Chateau du Bois-Guy, 55 km north of Rennes, surrounded by fields, lakes and a large golf course, including several conference rooms in the castle hotel. It was bought 8 years ago by a young Swiss and his Danish friend who renovated it and turned it into a hotel and congress center. For some organizational measures, the handwriting of Chairman Dr. Hiltrud Strasser became clearly. All participants received vegetarian or vegan food, which was deliciously prepared in the French way. As it should, the conference began with practical work on the hoof. a hoof trim for coaches. 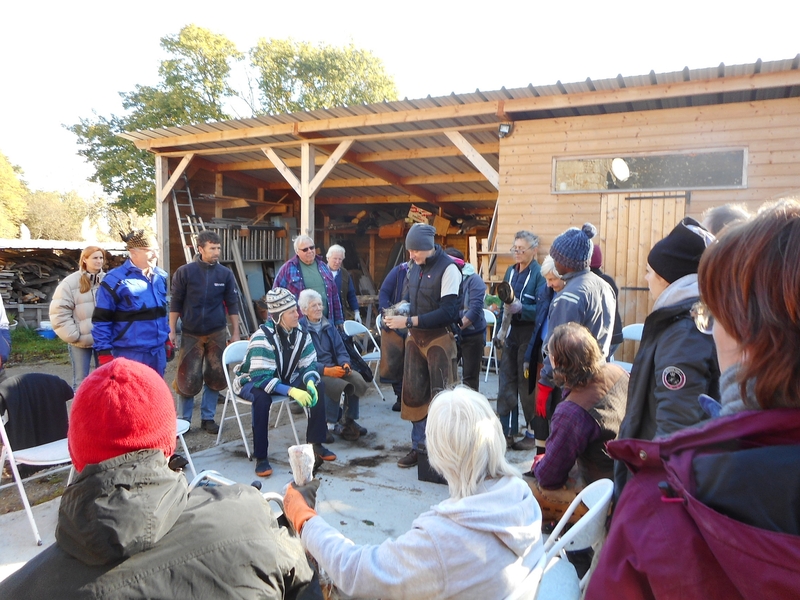 After a short theory and new ideas about the hoof care training of Patrick Spieleder and Hiltrud Strasser, the practice ended with a discussion about the dead hooves and a general hoof talk. This concept has permeated the entire congress. During the theoretical contributions, questions also came from the circle of listeners, where again and again the practical relevance was established. 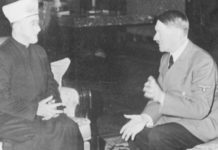 The theoretical part of the conference began on Friday with reports from France, Sweden, the Czech Republic, Great Britain, Austria, Belgium, Germany, South Africa, the USA, Norway and Finland. Unfortunately, due to the poor value of the ruble a trimmer from Russia was unable to attend. “We will discuss aspects of insulin resistance because they are related to other metabolic disorders in the horse. The clinical aspects of major metabolic disorders are discussed, including clinical signs, diagnosis and treatment. We will discuss how these disorders are related to our function as hoof care specialists. 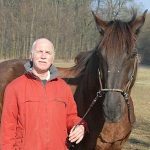 Truths and myths about insulin resistance, metabolic syndrome in horses, and other related disorders.” Lecture Myths and Truths of Equine Metabolic Syndrome as PDF. 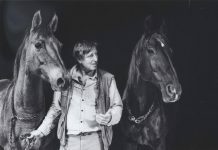 Dr. Skinner is President and Chairman of the Board of the North American Strasser Hoofcare organization. 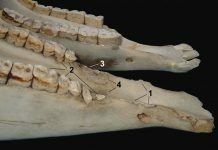 The veterinarian praxis in treating problemsin the toe area is based obviously on misconceptions about the situations in the functional anatomy. The dismantling of equine feet provides new aspects of the functions of both the deep and superficial flexor tendons and their relationship to the tissues in the hoof-inside, aspects discussed in the 2nd edition of the “Handbook on Hoof Orthopedics” (2018) by Drs. Hiltrud Strasser has been published recently. See also Über das „Handbuch der Huforthopädie“ von Dr. Hiltrud Strasser in the german section of WELTEXPRESS. 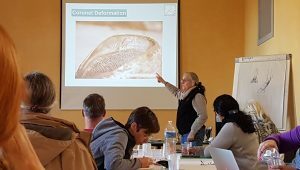 Introduction: “Since a hoof capsule always has to be adapted to the internal (anatomical) structures, this means that even with a heavily deformed capsule, the anatomical proportions must remain in the head of SHP during trimming. I will outline and discuss these proportions in the first part of my presentation. This includes determining the individual and correct hoof length. Next, let me talk about the opening cut, we removed from the new edition of the orthopedic book. In my opinion, the biggest problem was that the connection between the bar and the wall was broken. Especially if it was used incorrectly, so that the bars could not fulfill their intended task. After these demanding lectures, the afternoon reward was a “leisurely” trip to Mont Saint Michel, where the physical fitness of some participants was tested during the ascent. Luckily, after a dinner, of course with “fruit de mer”, all were back on the bus at 20.30. Saturday was devoted to trimming cadaver hooves. Cadaver hooves are in short supply in Germany but easy to get in France, as there are still many horse butchers. – A crying and a laughing eye with horse lovers – The work on the cadaver hoof is a very good training for hoof care, since a mistake has no serious consequences. In the evening, the company relaxed at a Happy Dinner with award ceremony (Strasser Hoofcare Award 2018) and dance. The most popular dances were the Viennese waltz and Rock and Roll next to the Breton folk dance. The award by Dr. med. 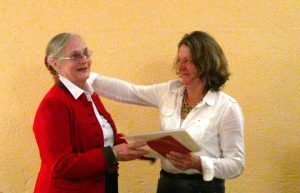 Hiltrud Strasser is donated at each conference to people who have made outstanding achievements in holistic hoof care. This year the French representative of Strasser Hoofcare, Andrea Stöckle, was given the opportunity to persueade many horse owners by considerably improving their keeping conditions and many horses in northern France were freed from iron on the hooves and in the mouth. The Sunday was once again dedicated to the theory and began with the delegation from the Czech Republic, which represented a case of hoof cancer with pictures, x-rays and videos. The mare from Hungary suffered from proliferative growth (hoof canker) in the entire medial half of the left hoof and partly in the right hoof. At first, however, it was hidden in the right foot. In general, the hooves had grown too long, with very high heels and contracted bales. Recently it is cut once in 10 days, the hooves are hosed down with water and bathed daily in apple cider vinegar solution in water. The horse moves freely and is moved in a running machine depending on his condition. The mare mainly applies weight to the lateral sides of the hooves to avoid pain caused by the mutated tissue predominantly on the inner half of the hooves. During the time the left foot got better and the right one got worse. Meanwhile, the horse was successfully integrated into the herd. See also photo gallery Fotoreportage Hufpflege oder zu Besuch bei Vaclav Vydra in Tschechien on the hoof clinic of Vaclav Vydra. In northern France (Brittany), we have had some great successes in the last 5 years with rehabing previously shod horses, lame horses and inable-to-work horses. Also, because of the large riding schools involved, we can influence children in proper horse attitude and behavior towards animals. This will – hopefully – also give examples to other horse owners to change the situation of pit stance. The problem: we do not have enough professional hoof care workers. The education is difficult and long because of the immense knowledge. Public opinion about hooves does not support our education plans because the importance of the hoof is underestimated. We think about a new training structure. Intuitive Communication with animals enables us to increase our natural intuitive abilities through a specific learning process. With this ability, one expands what can be perceived to accurately grasp the animal’s inner experience both physically and emotionally. 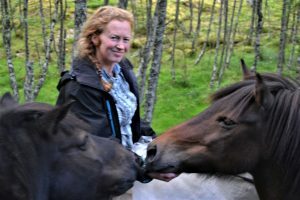 Thirty years of research in parallel to clinical studies have convinced her that this is not “imagination”, but instead that something is happening outside our mental mind to make us contact the sensibility of the horse. This approach can contribute to the well-being of the animals : it constitutes a valuable addition to direct animal care and may facilitate hoof care. • How the veterinarians knowledge of the hoof varies: conflicting issues between veterinarian and trimmer. • Co-operating with a vet – the importance of having a vet on your side. 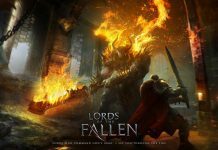 I was contacted by a vet in April and asked if I could trim a laminitic fjording. 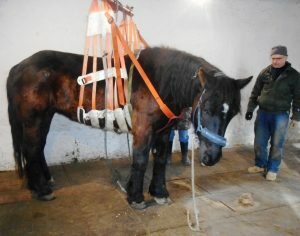 The horse had been shod last 3 times in the same week in February by a qualified blacksmith, who had tried different shoes to try and help the horse. The horse just got worse. I started trimming the horse. This vet got the owner to take the horse for x-rays at a clinic on April 24th. I sent a long photos and explanations of what I had done and why. The vet at the clinic said that I had taken too much off the heels and the toes. 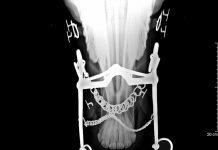 The x-rays showed that the hoof had had a 30 degree rotation, although the clinic vet said that she could not see that the hoof had been rotated! This illustrates the varying, and sometimes conflicting knowledge between vets and hooftrimmers. It also emphasizes the importance of having a good co-operation with a vet.. Further more the clinic vet tried to force the owner to use her blacksmith (which the owner did not want to do). This was resolved when the vet that had contacted me first told the vet at the clinic that she wanted me to continue to trim the horse. The clinic vet accepted this. The horse progressed very quickly and showed great improvement. 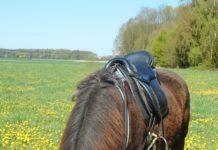 The owner has been very active in doing the best for the horse: boots when needed, and a lot of movement. The horse can now walk soundly on gravel without boots! This was not possible at the beginning (Photo gallery as PDF). 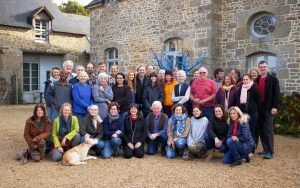 All participants gathered together in the castle courtyard for a final photo before some left for their departure and others enjoyed a few days of holiday in Brittany.